Kees Master Club is for those students who have made the commitment to take their training to a higher level and are graduates of the Black Belt Club. Prior to acceptance in the Master Club, potential members must have an interview and their Instructor’s recommendation. Demonstrated dedication, loyalty and responsibility are necessary personality traits for Master Club members. Master Club members receive additional training in advanced martial arts, weapons and self-defense techniques. 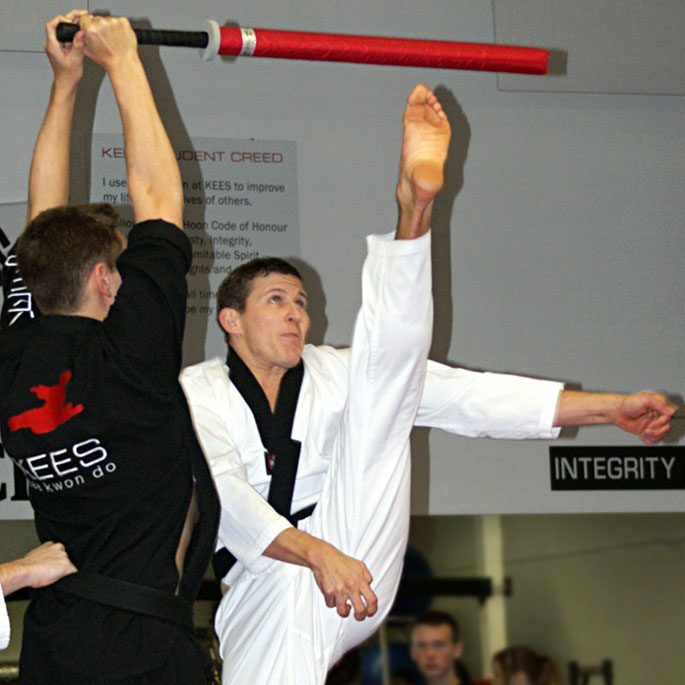 They qualify to attend select training seminars and classes that deepen and widen their martial arts skills. These skills transfer into many other areas of their personal, academic and professional lives. As a sign to others of their status, Master Club members are permitted to wear a red club uniform.